The best granite memorials are products of true artisans in stone. Landmark Monuments are experts at the art of granite memorials. Their skilled craftsman and designers will work with your idea to create an inspirational marker, gravestone or sign. A bronze memorial is another choice, to commemorate a historical event, or a special person. Include a special poem or favorite quote. 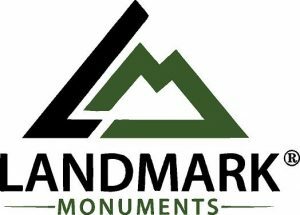 Landmark Monuments brings Integrity and Quality to every project. With over 80 years of combined experience, you will be glad you called Landmark Monuments. Visit the website gallery to see examples of this beautiful work. Call now to schedule an appointment (they will even come to your home or office).